One recent evening my 13 year old son, who we affectionately refer to as Mr. Fabulous, came into my office to tell me about his day at school. We call him Mr. Fabulous because he has more confidence in his little finger than my husband and I have with our combined years on earth. This particular day was a big day for him. He was applying to a new school, and it was going to be an incredibly competitive process. As he began sharing his story, he beamed with excitement and anticipation for his new adventure. While I admired his confidence, I also wanted him to have a healthy dose of realistic optimism about his chances for admission. I asked, “Are you sure you will get in?” Without missing a beat he responds to me saying, “Of course I’ll get in. I’m the best. Why wouldn’t they want me?” In that moment, a light bulb went off. He never doubts his own abilities. As such, he sees more success than failure. 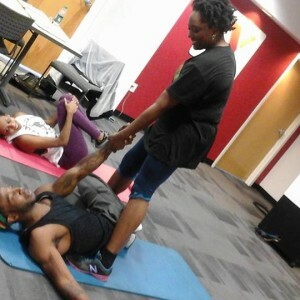 Success as a group fitness instructor is as much mental as it is physical. We have to embrace the mindset of a Warrior, and train as much mentally as we do physically. Confidence is one of the key building blocks to success. As new instructors, it can be far too easy to replay the mental soundtrack of negativity which undermines your success before it starts. Consider the following three “Be-Attitudes” to help you develop the mindset of a Warrior. As a new instructor, you have to be your biggest champion. Treat yourself kindly. A dear friend published a blog post titled “Training Your Brain: 6 Steps for Getting Strong in the Mind Gym.” In it, she discusses how disastrous negative self- talk can be. Think about it. What are some of the things you’ve said to yourself as you’ve been on your fitness journey? “I’ll never be able to do this. Why does it have to be so hard? No one is ever coming to my class. Why did I even start this?” Now, imagine someone you love and respect spe aking to you that way. Never speak to yourself in a way that you would not accept from another person. 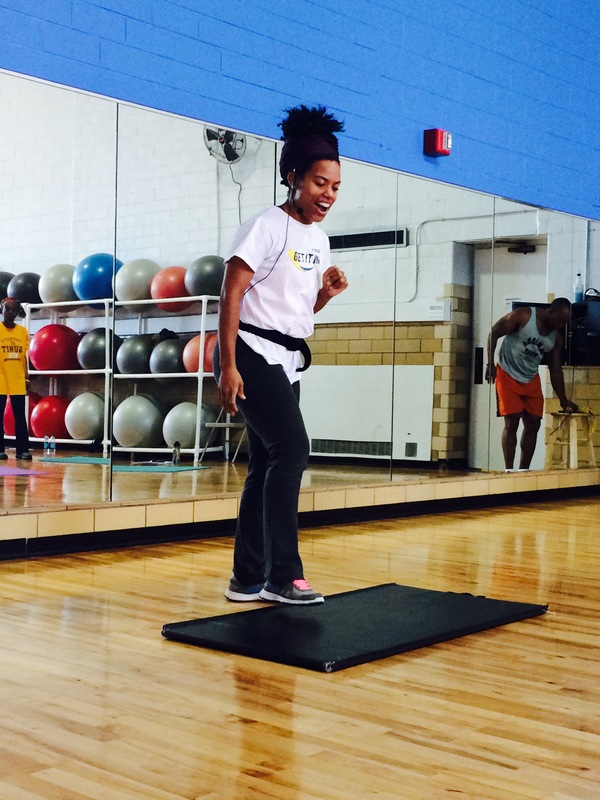 part gymnast – all while trying to keep participants in a safe heart rate zone. The best way to juggle all those hats is to practice at it. Practice as much as you can, whenever you can. Practice talking while you are working out. Practice your form. Practice cuing moves a few seconds before you demonstrate them. Practice being encouraging. Practice. Practice. Practice. Know your moves. Know your music. Know your space. Know your class. Confidence comes when each element of your routine is so intuitive that you don’t even have to think about it—because you just know it. Rome wasn’t built in a day. Neither is your class. It may take some time for you to build a loyal group of participants. Utilize that time to work out the kinks in your routines, try new modalities, and perfect your craft. Be patient with yourself, and patient with the process. Leverage your class to provide feedback on what’s working—and what’s not. You will find that this also helps build rapport with your class. only to the instructors leading the classes but to those of you who are taking the classes. Be patient with yourself. Fitness is a never ending journey. There may be some things that you struggle with along the way – it’s okay. Be patient and stay the course. Be patient with your instructor – they are on a journey too! Did they miscue, miscount, or forget their next move? They are human too and I can almost guarantee you they are doing the absolute best they can to give you what you came to get out of their class. Just be patient and understanding. Looking for a fitness family? 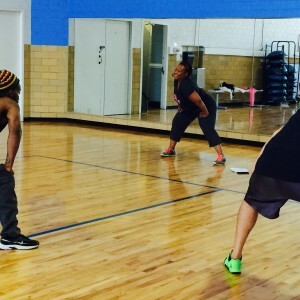 Sports Backers Fitness Warriors program is training individuals from the community to be fitness instructors. 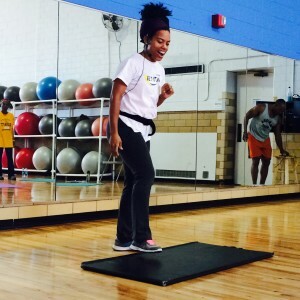 Our Fitness Warriors are kind, they are patient, and they are prepared to lead you through a fun workout. Even better . . . All of our classes are FREE! Learn more about each Warrior and check out the class schedule to find a Warrior leading the way near you!